It’s not often that we get insight into someone suffering from dementia, particularly someone as articulate as Gerda Saunders. 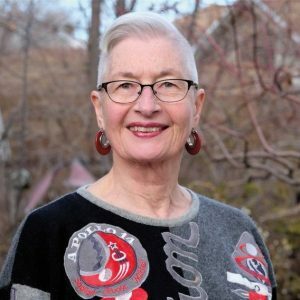 Ms. Saunders, 67, a retired professor from the University of Utah, was given the diagnosis of cerebral microvascular disease, a precursor of dementia, 6 years ago. She began a journal to document her experience and that journal is now a book: Memory’s Last Breath: Field Notes on My Dementia . Continuing to cope with this debilitating disease, Ms. Saunders nonetheless finds joy and insights into her family, her situation and what life now means to her. Listen to an interview with Ms. Saunders and Mary Harris on WNYC’s Leonard Lopate show, by Clicking Here. And for more information about this courageous woman’s journey, check out her personal website Here.